Solidarity for the Belgians… But also for ourselves! "On Friday morning, we're leaving for Laon. This is some trip that we're taking! It seems to me that it's at the far end of France, and it's best to get on with it: no way of turning back now. The weather is good. The roads are very crowded, and it's difficult to advance. It's a never-ending stream; so far, that all you can see are uninterrupted masses of people fleeing." These words were written by Irène Norga in her war diary on 23 August 1914, as she was crossing Hainaut on her flight to France, accompanied by her cousin Irène and her parents. 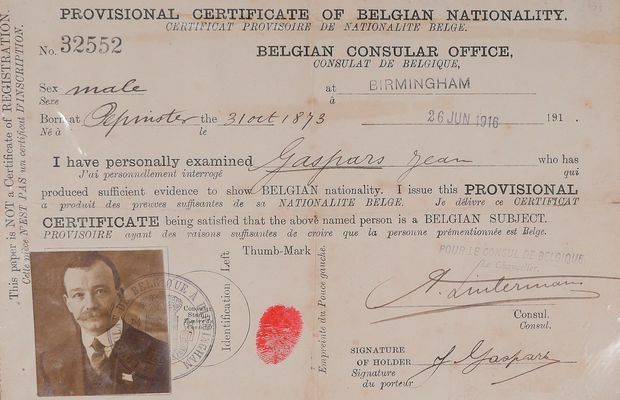 During the First World War, more than 1 million Belgians – just like Irène – took to the road in order to flee German atrocities or the country's occupation. 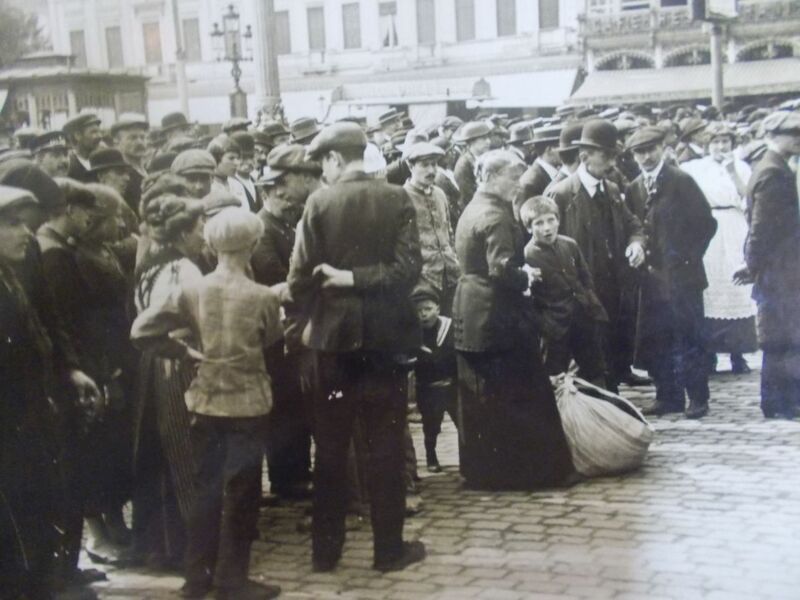 Heading out on the road to exile – with the most destitute carrying only the clothing that they owned at the time of departure – the refugees made their way towards France, the Netherlands or England. While a good many of them returned home once the front has stabilised, others definitively established themselves in their host country. Couples, mixed or not, were formed there, children were born there. The weakest or the most elderly died there. For the Belgian government, itself in exile, and for the governments of the host countries, these population movements had to be managed. This was not done without some trouble. The good intentions that prevailed at the start of the conflict gradually dissipated, leaving room for criticism. The refugees themselves were criticized as well, both by the local populations and by their co-citizens who had remained in occupied Belgium. As such, entire families and individuals found themselves scattered to the four corners of France, England or the Netherlands. The people most directly affected by the arrival of the German troops in Belgium preferred to wait until the end of the conflict before returning home, but other families only remained abroad until such time as the front could stabilise. Who were these refugees? How were they received? This report is intended to introduce you to this important aspect. "All around us, the field is immense, endless, as far as you can see. Always deserted, sad and monotone. This continual solitude gives us a profound feeling of isolation. We grow sad. Our fate as exiles weighs heavily on us, when will it end? Where are my parents? I feel great sorrow. How far will we be pushed like this?" To organise this exile, the Belgian government established in Sainte-Adresse near Le Havre, the host governments and charitable organisations get to work. The Belgian government provides essential information to the refugees by means of notices disseminated via the consulates, the institutions of local authorities and charitable organisations. 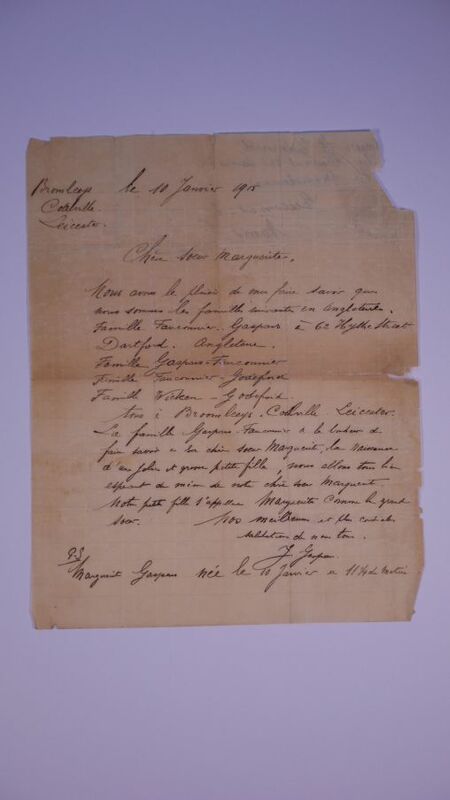 This includes extremely concrete elements, such as the information disseminated in December 1914 whereby the refugees can obtain reimbursements in France for their savings at the Caisse d'épargne by making a request via the consul or the mayor of their community of residence. Another notice informs them that Belgian money will be accepted and exchanged in all French banks. The government will continue to communicate in this matter until the end of the hostilities, and until the refugees return to Belgium. Alongside the Official Committees, intermediaries between the government in Sainte-Adresse and the refugees, local support organisations are also created. They hand out and distribute accommodations, clothing and food to the persons arriving in their communities, and who are put in their care. These committees are headed by people from the local upper class who take part in charitable work in order to help the refugees. In France, the Norga cousins will be accommodated in the castle of the Count of Ségur, but this comfortable reception is the exception: most of the refugees will be assigned accommodations in exchange for modest rent, or a room with an individual. This generosity is also a means for the upper class to show that it is not remaining inactive despite the turmoil. But the task is not always as easy or gratifying as some might have hoped. Delays in the Committee's payment of the compensation allocated by the French authorities in agreement with the Belgian authorities, that are necessary for survival, result in complaints and discontent, and some charitable organisations complain about the ingratitude of their protégés. Despite the utter destitution in which these families find themselves, we see touching moments of solidarity. This involves families, of course, such as Irène Norga travelling with her aunt and uncle, or grandparents fleeing together with their orphaned grandchildren. But there are also moments of spontaneous solidarity, such as a family declaring that it is travelling with a little girl who was found on the side of the road to exile! "If only I could have news of my parents. Where are they? Have they been mistreated? Are they unhappy? This idea fills my days and nights." The three main host countries have a different attitude relative to the refugees: the Netherlands, neutral in the conflict, have a suspicious attitude while France and England demonstrate their feelings relative to the Germans, through the aid that they provide to the Belgians. In these two countries, the authorities also recognise that the refugee population can provide manpower in order to replace the men who have gone to the front. "We're really happy to meet up with people from our village, with whom we can chat like we did back home". 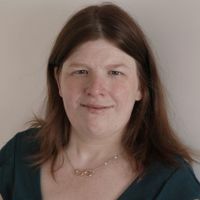 Irène's words are a clear reflection of a simple reality: the refugee communities gradually mix with the locals, while this grouping drives the need to obtain information on the current Belgian and international situations. Families are separated between the people who remained in the occupied country and the exiles, and mail circulates poorly. We therefore see the appearance of specialised media dedicated to providing information to the Belgian population in exile. The existence of these publications will be short-lived, but very important. Starting in October 1914, the aptly named Journal des réfugiés (Refugees' journal), the daily mouthpiece of the Belgian refugees in the Netherlands, reports big and small news from the occupied country as well as on international policy, and provides a place for search notices between people separated by the war, as well as for adverts requesting various articles ranging from personal clothing to suitcases, and including school manuals. On the 7 April 1915, the newspaper, now called "La Belgique", lends its support to the delivery of mail by proposing to serve as a conduit for letters from individual exiles to their correspondents in Belgium: "Neither the mailing location nor the sender's address must appear on the letter", and of course, no mention can be made of military operations in progress! 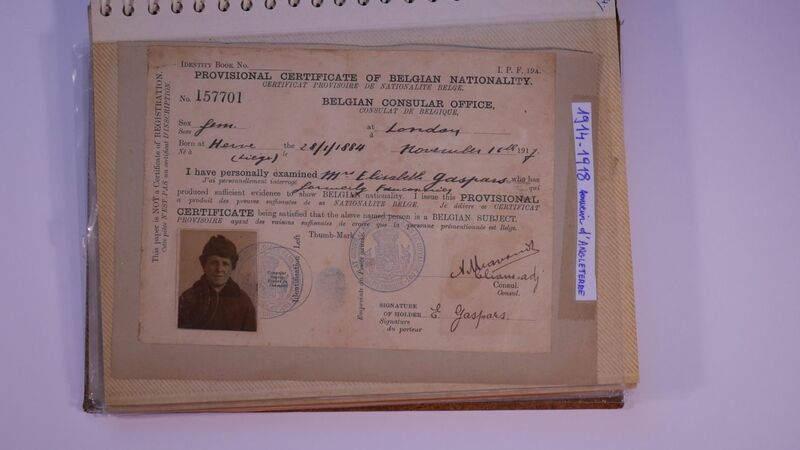 Wherever Belgian refugees are located, libraries and centres are created, where events are held and classes are given. The archives of the Belgian committee of La Haye notably indicate that lectures are organised in order to distract the refugees, covering a variety of topics ranging from caring for livestock to… linguistic questions. To organise this exile, the Belgian government established in Sainte-Adresse near Le Havre, the host governments and charitable organisations get to work. Any long-term establishment within the country will also mean an obligation to find means of subsistence! The government agencies of the host countries and the Belgian government in exile must agree on the measures to be taken so that the refugees can support themselves whenever possible. They therefore encourage the local committees to help the refugees to find work. 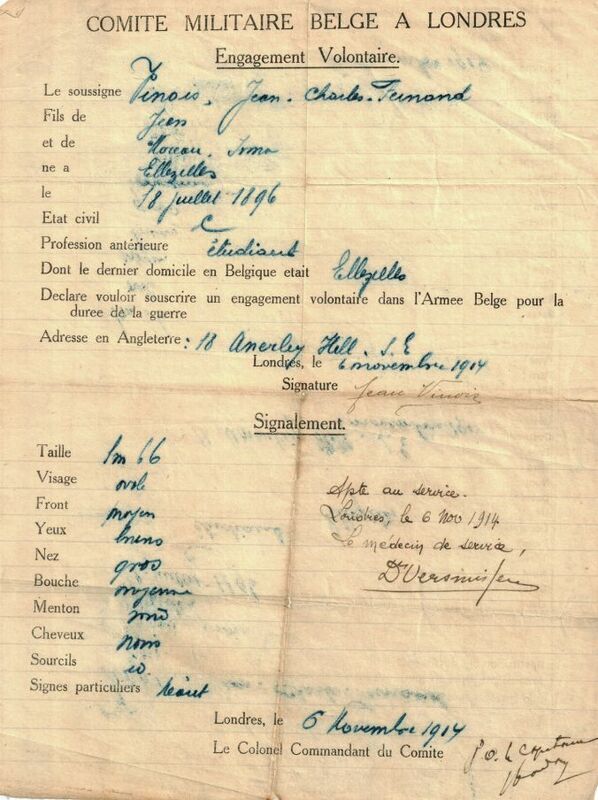 In February 1915, Belgian exchanges are organised in France in order to help with the search for work and with the administrative formalities. In Great Britain, this same task is looked after by the "Labour Exchanges". In both countries, local companies see an opportunity to hire low-cost replacement manpower for the men who have gone off to fight. 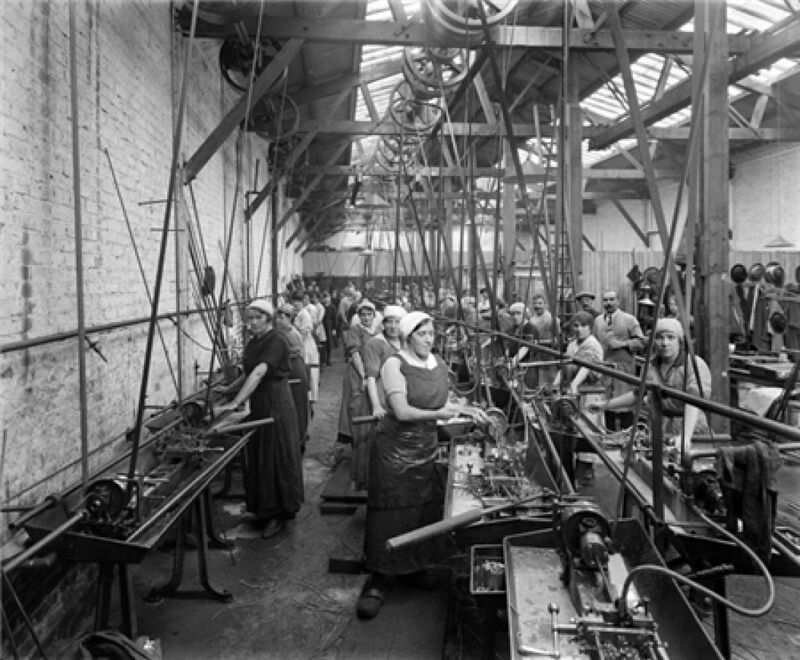 In addition are the women who, more so than in Belgium during the war, go to work in factories or create various childcare centres or structures. 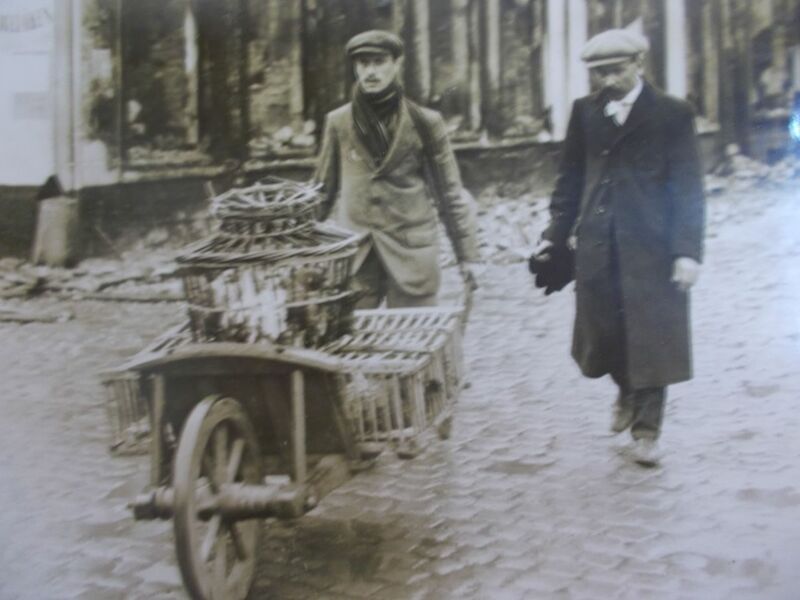 This placement policy bears fruit in France since, in 1917, there are no fewer than 10,500 Belgium workers employed in the metallurgical sector. In parallel with this employment plan, certain refugees do not hesitate to go into business for themselves: the Journal des Belges in the Netherlands advertises Belgian seamstresses offering their services, along with countless adverts for Belgian shops run by the refugees themselves. The fact of finding an occupation also helps to ensure that the local economy continues to operate between refugees and locals. The three main host countries have a different attitude relative to the refugees: the Netherlands, neutral in the conflict, have a suspicious attitude while France and England demonstrate their feelings relative to the Germans, through the aid that they provide to the Belgians. While the opinions of the local populations and the host countries are rather favourable to the refugees from "Poor little Belgium" at the start of the war, this trend drifts into mistrust and remoteness: the war drags on and a certain degree of banality, sometimes even weariness, takes hold in public opinion. Though accustomed to the presence of the Belgians, some friction remains. In Great Britain, riots erupt in 1916, with the local population viewing the integration of Belgian workers into the British market as a threat to their own jobs, while in general viewing the refugees as Belgian citizens who are comfortably distant from the battlefields while their own sons and fathers are fighting at the front! While the refugees are well-received abroad at the start of the war, the feelings of the people who have remained at home is much more bittersweet in their regard. Despite compassion for the physical and material violence committed by the enemy, some people accuse the refugees of being cowardly, and fleeing the occupier. The latter taps into these feelings and imposes a tax on the most well-off of the exiled populations. While disputed and not followed up to any great effect, this tax will nevertheless heighten the feeling that the refugees aren't experiencing the same war as the rest of the population. This feeling will dominate throughout the rest of the conflict, and last well after the war. Despite happiness at the ending of the war, the difficult question of the return remains. Indeed, with the armistice signed, the raison d'être of the refugees vanishes and the host countries seek the quick departure of the Belgian population, especially since they have their own socio-economic problems. Two main trends take shape around this return: the desire to return home to one's family as quickly as possible, and the desire to create a new life in the host country. There can be many reasons for staying: some people lost everything in the first weeks of the war, and are the only surviving members of their family. For others, the decision to stay will be based on a better socio-economic situation. Irène Norga and her cousin Eugénie will return to Belgium. One quite quickly, at some point in 1915 together with her parents, wishing to return to their family in Belgium, while the other waited until the end of the war. They will never again mention this sad period in their lives. 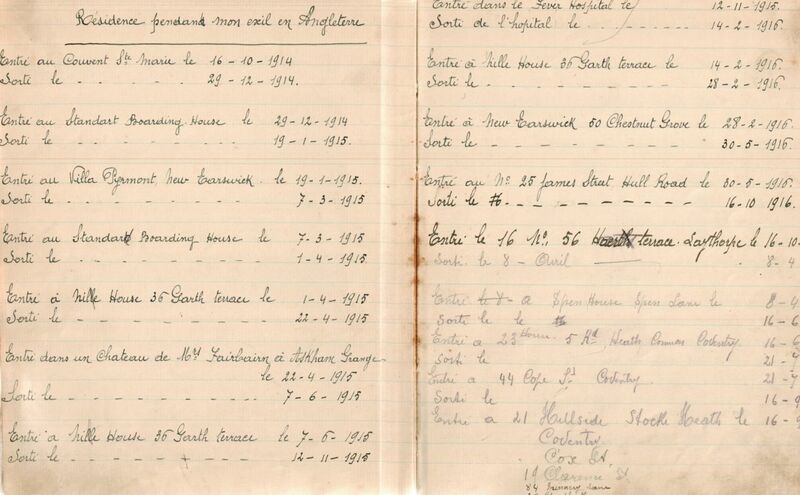 Only the diaries kept for 100 years will be the witnesses to the flight of the Norga family to France. Others, on the contrary, will hurry to find out about the first trains heading back home and will use all kinds of arguments in order to be the fortunate ones to be the first to leave. The Belgian State reacts to this eagerness with notices calling on Belgian citizens to wait until the signal is given to them before getting back on the road home. Priority is given to persons who can demonstrate capacities related to the country's reconstruction. But even organised, this return and resettlement in the country are difficult. The immediate after-war period sees many complaints regarding the reconstruction and the resettlement of former refugees within their region. 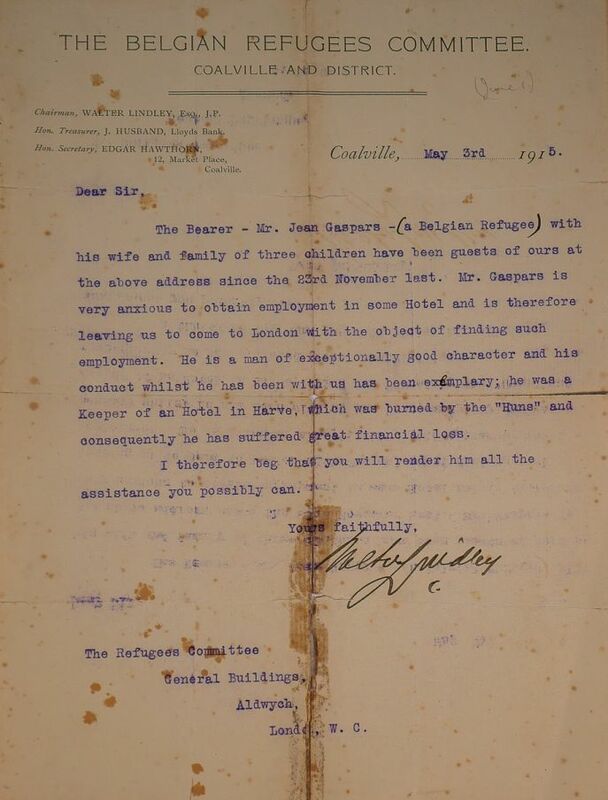 Much more anecdotal is this letter found in the archives of the Belgian committees in France, retained in the General Archives of the Kingdom, from a Belgian citizen who remained in Belgium during the war and asks the Support committee for Loiret for permission to travel to France in order to take up a job left vacant by a Belgian refugee who has returned home! The 100 year anniversary of the first worldwide conflict is an ideal opportunity to cast a light on the history of these Belgians who left everything in order to flee the war, its deprivations and its atrocities. The flight abroad during the first worldwide conflict had a significant impact on the lives of many Belgians. Just imagine the children born abroad and who, for their entire lives, had to ask for a birth certificate indicating that they were born in England or France! Other than an excellent thesis by Michaël Amara on this subject, little is known about the history of these men and women. Nevertheless, in the host countries, local committees perpetuate the memory of these Belgian civilians. As such, for the first time this year, one of these committees will be inviting the family of young Pieter Verlaecke to visit his grave. It will doubtlessly be an emotional moment for all of the members of his family, and for the descendents of the people who expressed such solidarity with them in time of war. The 100 year anniversary of the first worldwide conflict is an ideal opportunity to cast a light on the history of these Belgians who left everything in order to flee the war, its deprivations and its atrocities.